Some of us that were kids in the 90s will remember Pokémon cards. Back in the school playground, it became its own currency system; the shiny Charizard particularly sought for. Pokémon cards still maintain high esteem among Pokémon fans, with the Pokémon TCG World Championship now an annual event. However, the trading card game has only become a video game twice, with the last one a Japanese exclusive. Pokémon Card GB2: Here Comes Team GR! is the Japan-only sequel to the Pokémon Trading Card Game, released on March 28th of 2001 on the Gameboy Color. The game revolves around a new villainous team called Team Great Rocket, led by King Biruritchi, who have kidnapped many of the Club Masters as they attempt to steal legendary cards. The player must defeat Team Great Rocket and rescue the Club Masters. The game also included nearly all the cards from the Base Set, Jungle, Fossil, and Team Rocket, with a promotional Lugia card included in the game. Pokémon Card GB2 remains a silent revolutionist of the Pokémon series. There were features added into this game that has carried on into the main series until this day. 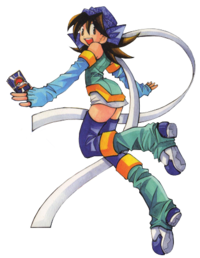 One of those features was the ability to play as a female character called Mint. It would be hard to imagine a Pokémon game without the inclusion of a female character, but it didn’t happen in the main series until Pokémon Crystal, an updated version of Pokémon Gold and Silver that wasn’t released until July 29th, 2001. It’s puzzling how such an inclusive idea would start in a spinoff game of the main series in the franchise. 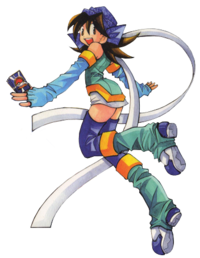 However, a female protagonist has never been overlooked since then, making Pokémon Card GB2 one of the most important pioneers in Nintendo history. The trend appears to be continuing, with character customization a key feature in the upcoming Pokémon Sun and Moon games. Another surprising feature that was first conceived in Pokémon Card GB2 was the ability for the player to run by holding down the ‘B’ button. This feature wouldn’t be seen in the West until Pokémon Ruby and Sapphire on the Gameboy Advance. Pokémon Card GB2 had a much larger world to navigate through than its predecessor. This feature helped to make the world much more accessible, and easier to maneuver through. The potential was clearly noted, and every generation of Pokémon after Generation Two has included the ability to run. In Pokémon X and Y, they also included roller-skates, increasing the options of how the player navigates the world. It seems odd as to why Pokémon Card GB2 was never released in North America or Europe. The game was a big improvement on the Pokémon Card Trading Game; including a larger world, more detailed gym locations, and even a mystery gift system that gave players random cards. However, the Gameboy Advance was released in Japan on March 21st, 2001, and in North America and Europe in June 2001. This coincides with the release of Pokémon Card GB2. The Gameboy Color was about to become old news and wasn’t worth the effort of releasing a game on old hardware. 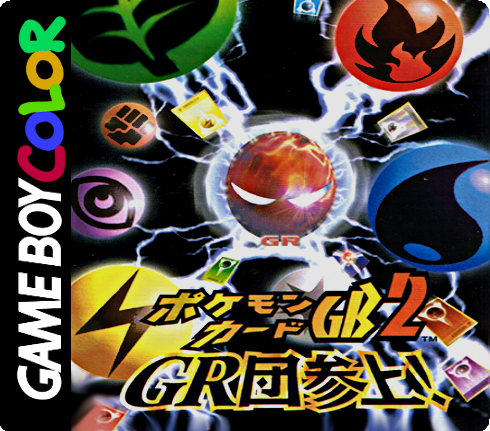 Pokémon Card GB2 remained a Japanese exclusive. On Pokémon’s twentieth anniversary year, it’s nice to remember one of their most revolutionary games. It’s one you probably haven’t had the chance to play, but you’ve definitely been apart of its revolution that changed Pokémon forever. This article was originally published on 21, September 2016.